HuCAL Fab-Cys3H negative control, clone AbD14892 is a recombinant Fab antibody fragment in the format Fab-Cys3H with specificity for green fluorescent protein (GFP). It has no known reactivity with mammalian proteins or other antigens. It has been tested by ELISA for specificity to GFP, but has not been tested in other applications. It is suggested as a negative control reagent when using other HuCAL antibodies of the same Fab format. It is recommended that this reagent is used at the same concentration as the test reagent. A monovalent human recombinant Fab selected from the HuCAL® phage display library, expressed in E. coli. The antibody is tagged with a Cys3 tag and a HIS-tag (HHHHHH) at the C-terminus of the antibody heavy chain. This product should be stored undiluted.  Avoid repeated freezing and thawing as this may denature the antibody.